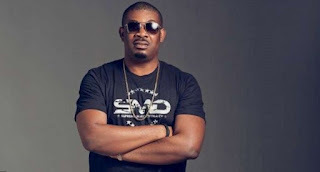 The Mavin Records boss revealed this during a chat with newsmen, he added that he is in a relationship but has lots of work to do on himself before taking the crucial decision. His words: �I don�t bring up issues about my relationship status on purpose. People always talk about it. �It is not difficult to find a wife; there are many beautiful women out there. It is not like I am ready; I am not the perfect version of what I would like to be to my wife and family. �I want to work on myself until I am ready. By the time I am ready, if someone still wants to be with me, that would be great. �It is not like I am looking for a wife and cannot find one. There are lots of nice and beautiful ladies out there. I don�t think I am there yet. I am not in a hurry. �If time passes and nobody wants to marry me, then so be it but for now, I don�t feel I have worked on myself enough. �I don�t want a scenario where I would get married and my music or business would take me away and the next thing would be that my wife would start complaining that I am hardly around. Then people would start saying he doesn�t care about his family. I don�t need that type of talk in my life. �Let me be on my own, whenever I am ready, I am ready. I have a girlfriend; I have had different girlfriends in the last 10 years. I can�t just be single; I never said I was celibate. The relationship can break, she can leave me and go, and it is possible. �My other ex-girlfriends left me, they didn�t break my heart, they just moved on, some of them are married now, if they were still waiting for me, they won�t be married by now. He was quoted as saying, �I didn�t hear anything about having a child outside wedlock. I don�t have a child yet or maybe somebody has a child for me somewhere and they don�t want me to know about it but I don�t know why they won�t want me to know about such a thing.